on the expense reconciliation process. 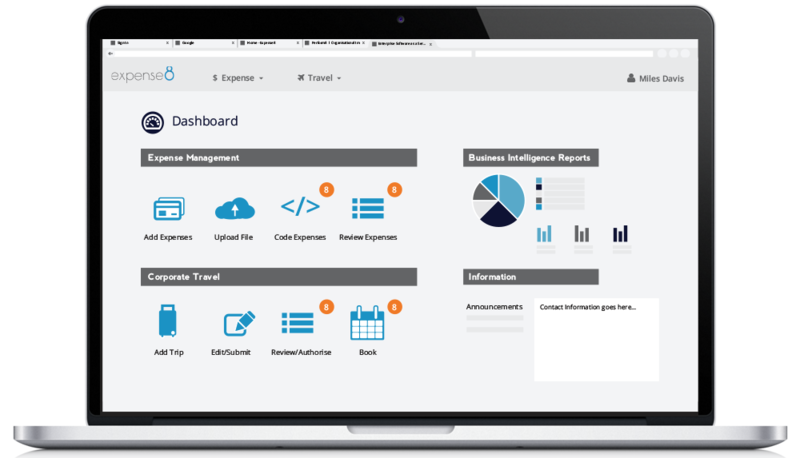 With our easy-to-navigate dashboard you will have instant access to important functions from the very beginning. The visual design of Expense8 is clean and simple. The reduction in information, results in less visual noise, which means you will complete tasks quicker. Designed with fewer button clicks, less work is required of you. The steps you must take to complete a task are obvious and intuitive. 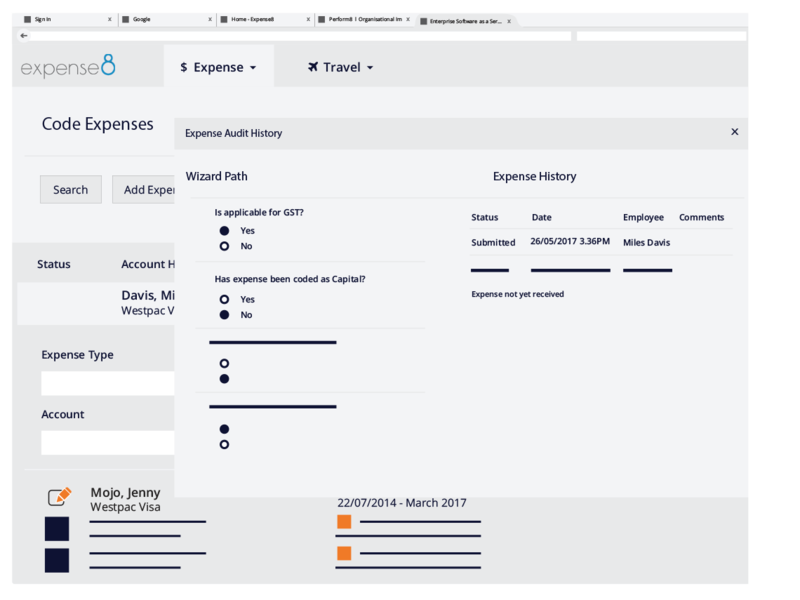 The Expense8 Tax Wizard accommodates even the most complex taxation rules, ranging from simple sales taxes to a matrix of tax deductions. The Tax Wizard automatically and accurately determines the tax applicability of expenses, based on your specific tax rules and requirements. Enforce valid combinations of ERP Codes, e.g. certain Account Codes matched with certain Cost Centres. 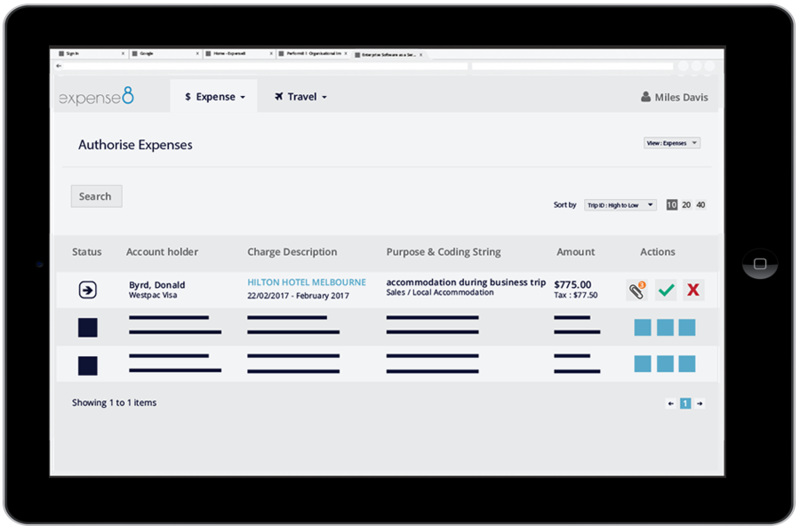 This ensures that your employees can reconcile expenses according to the rules, without knowing them in detail. The Tax Wizard automatically and accurately deter mines the tax applicability of expenses, based on your specific tax rules and requirements. Automatically produce reports to assist with the end of month reconciliation and balancing processes. This function saves you valuable time that can be spent elsewhere.